3. Please describe your knowledge of Star Wars? 4. Please tell us about your other guild/MMO experiences. If there is more than one guild/experience, please include all of them. I was 3rd in command in my guild called “SIF” which we participated in GVG war competition. Role that I would like to be in the guild would be the “Utility Role”. I will try participating in every guild events and projects. I will be active, consistent and an efficient figure in the guild to help assist the guild and all guild members in their activities such as power leveling, raiding and etc. 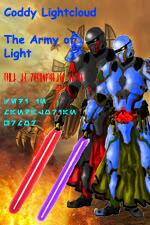 Frankly, I am not sure if Army of Light would be a good fit for me as I don’t even know anyone from this guild. It will take some time before I get to know every one but if the guild and members is what it seems to be (Fun, Friendly and Competitive), then yes, Army of Light would be a good fit for me. I expect the guild to have ambitions. A guild without ambitions will never move forward or even improve through failures it suffers. Also I expect the guild to accept an Asian Star War fan like any other fan. I don’t really role play. I would usually role play myself into the situation, meaning that all actions, thoughts and ideas would be coming from my own POV. However, I do role play in terms of rank, eg. If I am a padawan, I will respect and learn from my master as a padawan. By having English as a second language, I did pay lots of attention towards the “Proper spelling and grammar are encouraged” policy found in “guild forum policies and rules”. I hope my level of English does not confuse you or the rest of the guild members reading this. I am trying my best. I do. By using the guild’s policy as a guideline and act upon it. I do embody these qualities because I am currently engaged to my love one (my gf).This shows that I am able to love another human being as much as myself thus giving me those four qualities as well as another crucial quality which is responsibility. I believe each member should not only have these four qualities only. Responsibility should be included. In my previous MMORPG, I offered assistance to help new comers because I remember how tough it was being all alone in a MMORPG game. I offered help in terms of guidance and some power leveling to help them get use to pace of the game. Since this is a role playing scenario, being a Jedi Knight, I should not rush into things and I will opt for a more safety option which is to destroy the enemy’s communication relay first and ignore the Sith camp. 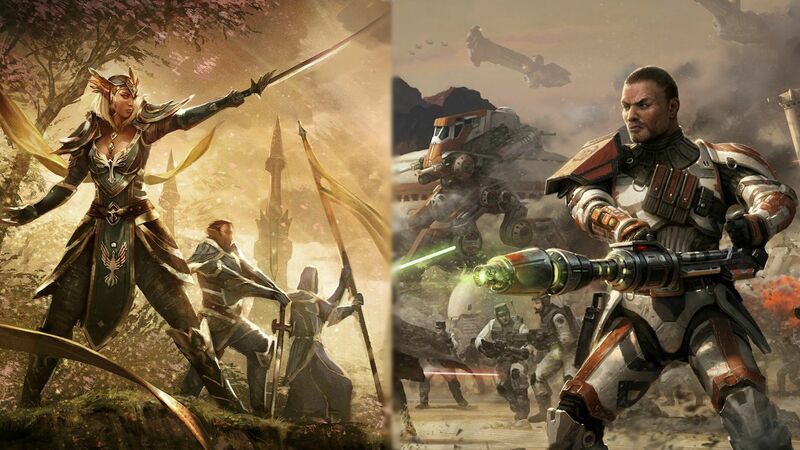 If by destroying the relay triggers enemy reinforcement it is my duty and responsibility to hold off any threat till the group of 3 are safe and away from the Sith encounter. A Knight’s role is to defend the weak, which is what I shall and will do. I am that kind of guy which wishes no glamour. I do not seek for fame or richness. I am also the type of person who is willing to do “dirty work” (Unwanted, unpopular, tedious work) for the guild. I work best around a guild that relies on teamwork. I am very determined and will always be high on morale even if things start to get bad. Also, I am very good in following orders and a fast learner. Leading is something I will have to work on and improve however. Sorry for any grammar mistake that i might had made or any language problems which you had encounter. Hope you guys enjoy reading this application. Thank you. Looks ok. Glad to see more people coming in. If you need anything don't hesitate to PM me! Thanks for the feedback isaiahza. Not bad my man, and your honesty is very important. And as far as not being sure if you fit in or not, you will, everyone does.(Usually). And to answer your question, we are VERY ambitious, improving our guild is one of the High Councils (HC) biggest concerns, and they do great. I think you will fit in perfectly, and the name Zane Star is awesome! If you have any questions don't be shy, and good luck! Thanks for the replies. Looking forward into joining your guild and playing together in the near future. Your Application is now Under Review by the Recruitment Council. You will receive a response shortly, usually within 48-72 hours. With that successfully completed, you will report to the Jedi branch leader (Master Caliber Mispir or Master Shoja Fodun) for general class branch training and to General Bren Durron for Squadron/Platoon assignment. Squadrons will act as your home within your home and help acclimate you to guild life and try to answer any questions you may have. Welcome to the AL Zane. Thank you for your acceptance. Good job!! I'm happy to see you got accepted. Congrats and welcome to the guild Zane.